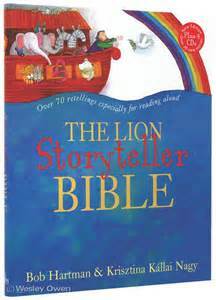 The Lion Storyteller Bible (used by Open The Book groups who visit primary schools to reenact Bible Stories) is available for £12.99 (RRP £15.99). Order 4 or more for an extra 15% discount and a price of £11.04 a copy. Included in the book are 4 audio cds containing all the stories. Call 0300 422 8585 to order or discuss, or email gloucester@books-plus.org.uk, or visit us in The Atrium, Gloucestershire Royal Hospital.